Anastasia Maseychik in Environment Gaming on 30 April, 2017. Enough doom and gloom; we have enough of that already in exam season. Instead, let’s explore the amazing real-life monsters that inspired our old favourite games. For all those original 151’ers – there is lots for you here, but I’m afraid the Pokemon world is bigger than Kanto if you wanna be the very best, like no-one ever was. However, entries are ordered by Dex number, so it goes from classic to new. How: This one isn’t exactly a shocker, but there is something more specifically tadpole inspired about Poliwag’s design – the swirl on its stomach. 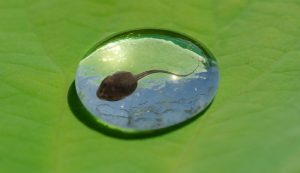 This is not a random stylistic feature, but replicates the fact in some kinds of tadpoles you can actually see their swirling intestines when turning them upside-down. How: The Asian Carp is incredibly hardy to the point of becoming an invasive species, which correlates to its Pokedex entries. However, what is interesting is that its move-set leveling up all relate to its ability to jump in some way (splash, flail, bounce). This is because it is based on a Chinese legend that if a lowly carp could leap over the Dragon Gate waterfall, it would transform into a majestic dragon (Gyarados). This was probably an allusion for social climbing in China. Fun fact: The carp can jump 8-10 feet in the air when scared by boats, resulting in a number of carp-related injuries. How: Omante cannot be caught usually but must be resurrected from a fossil. 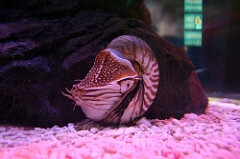 Nautilus, which still exists today, has existed for thousands of years from the early Pleistocene period and bears the Pokemon a striking resemblance. Whilst its evolution Omastar does not have a pointed shell like the Orthocone, its most noteworthy addition through evolution is a sharp, open beak – similar to that of the Orthocone, ancestor of Nautilus, whose beak could bite through the shells of giant sea scorpions. Fun fact: Watch this great clip of an Orthocone crunching up scorpions – a picture speaks a thousand words. How: Wooper is a water type, shares the axolotyl’s frilly facial gills, small black eyes and vacant smile. 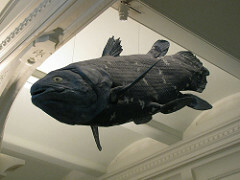 Wooper is grey as in reality, wild axolotyls are rarely white – the characteristic white axolotyl we’re used to seeing is known as ‘leucistic’, and are descendants of a rare mutant male who was shipped to Paris in 1863 and bred thereon for his aesthetic qualities. 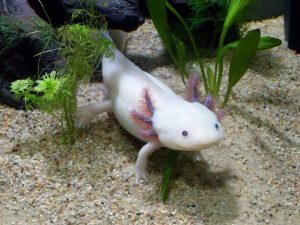 Fun fact: Wild axolotyls can only be found in one place in the world; Xochimiliko Lake in Mexico. 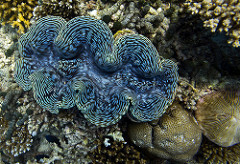 How: The giant clam’s bright blue mantle tissue clearly inspires Clampearl, both of which are found on reefs. 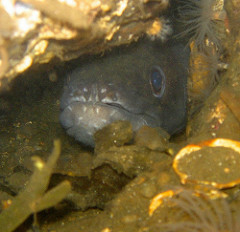 However, the Conger eel and Chimaera can only be found if one drops off the side of the reef to travel thousands of metres down to the deep (hence why these Pokemon can all only be discovered when diving). The Conger eel largely lives by scavenging the sea floor whereas the Chimaera uses its long nose to detect prey movement in the sand. How: The Pokedex entry for Relicanth reads: ‘Relicanth is a Pokémon species that existed for a hundred million years without ever changing its form. This ancient Pokémon feeds on microscopic organisms with its toothless mouth’. There is no doubt this Pokemon is based on the Coelocanth, long considered a ‘living fossil’ as scientists calculated it evolved into its current form roughly 400 million years ago. Fun fact: Despite this, it is in the most endangered order of animal species in the world. How: Look at those pursing lips! This one is a no-brainer. Fun fact: They are not in fact kissing but sparring, wrestling each other for dominance with muscular lips. How: Nudibranchs come in a variety of bright colours, mirrored by the multiple forms of Shellos. 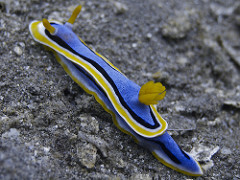 They are more commonly known as sea slugs and currently about 2,300 species are known, across the globe and at varying depths. Their colours vary for different reasons; some are genuinely poisonous, some are camouflaged against coral reefs, and some practice aposematism (they display warning colours that deter their predators). 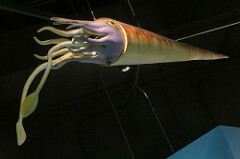 Fun fact: Their cephalic (head tentacles) have the senses of touch, taste and smell. How: The caudal and pectoral fins on both cannot be mistaken. The sunfish’s binomial name is also Mola mola, which seems to all be a little too much of a coincidence for me. 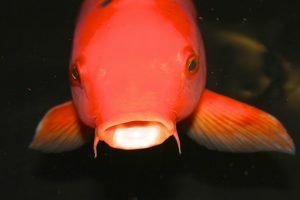 Fun fact: Its huge bony fins are so powerful that they alone propel it through the water and keep it afloat, as the creature lacks a swim bladder. 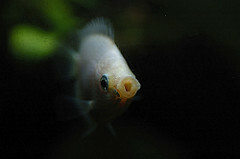 It is found in open water and has been known to visit floating piles of debris on the surface as they become habitats for little fish species that clean the sunfish’s sides of algae. How: One can argue that Eelektrik/Eelektross are based on eels alone (especially considering their first evolution, Tynamo, which resembles the larval stage of an eel’s lifecycle) but the protruding whiskers on their faces along with their flexibility align them with the hagfish. Fun fact: ‘Hackfish have a skeleton of cartilage, and are so flexible that they can tie themselves into knots and so get a better purchase on the flesh they feed on’. How: Both are horrifically ugly with eyes pointing upwards, bury themselves in sand or mud to disguise themselves (Stunfisk is a ground type) and feature the central colours of yellow and brown. Fun fact: The species under the genera Astroscopus and Uranoscopus can cause electric shocks, hence Stunfisk’s dual ground-electric type. 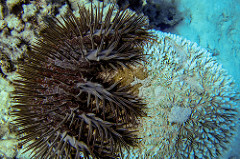 How: The Crown-of-Thorns starfish crawls across the reef decimating coral species by feeding on it. 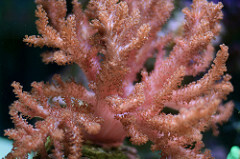 It is covered with poisonous spines and so cannot be attacked or interrupted by creatures whose interest it is in to protect the reef. As such, in Pokemon Sun and Moon, the only way to catch a Mareanie is to battle a Corsola, wait for it to call for help, and occasionally a Mareanie will turn up instead to feed on it. Fun fact: Some species of crab however, in exchange for a home in a coral’s branches, attack the starfish’s tender underbelly with its claws when under siege from the Crown-of-Thorns starfish, defending its domicile. Inspiration taken from The Pokemon Company, Dorkly.com and BBC Blue Planet.